Increase soil porosity and aeration while reducing soil compaction. Improves drainage while greatly reducing erosion. Reduces turf thatch buildup due to compacted soils resulting in stronger root systems. 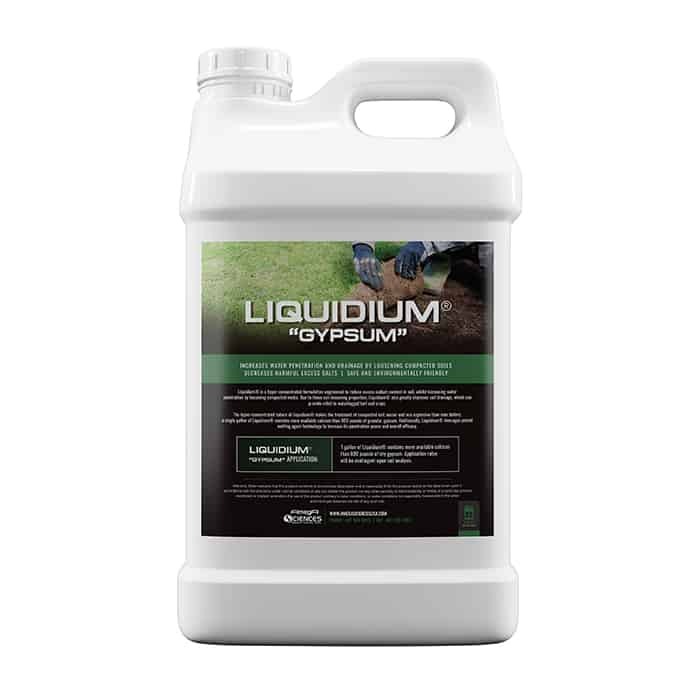 The hyper-concentrated nature of Liquidium® makes the treatment of compacted soil, easier and less expensive than ever before; a single gallon of Liquidium® contains more available calcium than 800 pounds of granular gypsum. 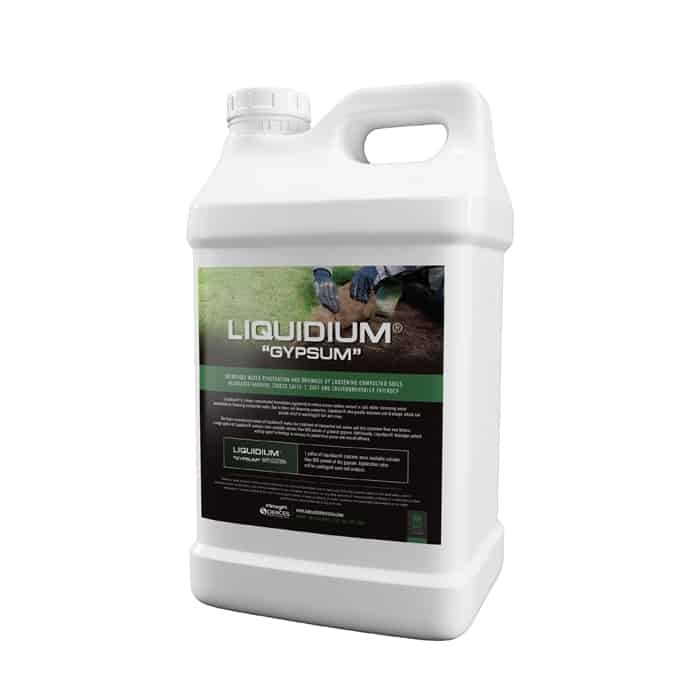 Additionally, Liquidium® leverages potent supplemental wetting agent technology to increase its penetration power and overall efficacy. 1 gallon of Liquidium® contains more available calcium than 800 pounds of dry gypsum. Application rates will be contingent upon soil analysis.